There is a huge demand of SAP BASIS course across the world. BigClasses provides excellent SAP BASIS online training with interactive online sessions. Our SAP BASIS training will teach every steps of BASIS. It will also teach you the about SAP dispatcher and its uses. What is SAP web dispatcher? The SAP web dispatcher is used mainly to distribute web request. It is based on the technology as used in SAP Internet Communication Manager (SAP ICM). But apart from the web dispatcher, web request can also be handled by the ICM or message server. But these have only narrow functionality and some disadvantages also. Because of this reason it is not recommended by the SAP. 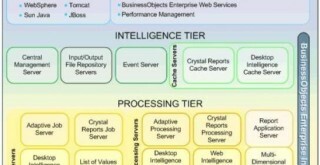 SAP recommends SAP web dispatcher to distribute web requests with some added functionalities. In computer networks a Demilitarized Zone or DMZ is a computer or small network. It is inserted as neutral zone between an organization’s private network and outside public. It avoids the external users directly accessing the organization’s server and provides security. 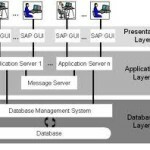 In SAP picture it is a neutral zone which is inserted between internet and the SAP Netweaver Application server, so that the external users from the Internet unable to access SAP netweaver application server directly. SAP Web Dispatcher executes within the DMZ. What are the functionalities of SAP Web Dispatcher? SAP web dispatcher has many functionalities. It handles both distributions of http and https requests.